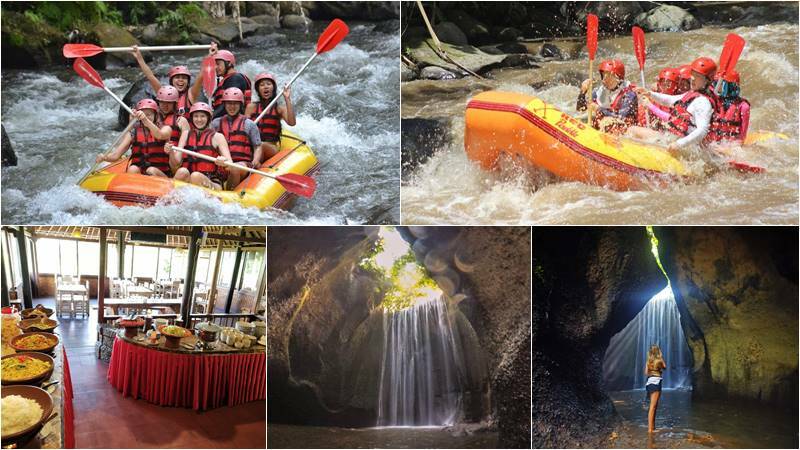 Bali Rafting + Cepung Waterfall tour is a cool tour package for you to experience Bali Ayung river rafting adventure in Ubud. Then the journey will continue to explore Cepung waterfall at Tembuku, Bangli Regency, one of the most popular waterfall in Bali. This could be a really great trip to the island of Bali. 13.30 – Visit Cepung waterfall. 17.00 – Transfer back to hotel. Our final stop is at Cepung Waterfall at Tembuku, Bangli. Tukad Cepung Waterfall, hidden between the rocks, is definitely one of the most unique sites in Bali. This place is quite cool and offers an exceptional sense of peace and tranquility.We will walk down from the parking area through the step and the path, making sure that you have good sandals as we get closer to the cascade, is slippery. You have the opportunity to unite with nature once we get here, listening to the rushing sound of the waterfall and getting wet is an option. After spending time here, our friendly English Bali speaking driver escorts us back to the hotel.